Your work as an online writer is not limited to developing top-notch content and establishing effective communication with multiple clients. You also have to be aware of the needs and preferences of your target audience, and you should always keep up with the latest trends in the niches you cover. On top of everything, you need to establish a strong social media presence that will cement your position as an influential online writer. Being a successful freelance writer is simple: you rely on the right tools for the right purpose. This content marketing platform enables you to conduct thorough research, schedule your posts, and create content for email newsletters, social media websites, and blogs. When you don’t have your own pieces to promote on social media, you can share high-quality posts by industry influencers. That will help you keep your audience engaged and interested in your page. Shareist is the right place to find content worth sharing. This online tool does the research for you! It analyzes the activity on your smart TV, tablet, and smartphone to get hints of your interests. Then, Lingospot provides you with top-quality content that will feed your hunger for information. Use those online materials as inspiration for your own work. Who writes without brainstorming nowadays? This essential pre-writing stage will guide you throughout the development of focused text that your audience will easily read. Of course, you need a great online tool that makes brainstorming fun and simple. Bubbl.us is one of the best options you have. It enables you to create mind maps that develop and present your ideas in the most compelling way. This content optimization tool enables you to keep track of particular topics, monitor the behavior of your audience, and expand your audience. The first thing you do is determine the topic you want to write about. Then, InboundWriter will suggest different content ideas and simulate the performance of your pieces before you even write them. Thus, you can start working on the concept that has the greatest potential of reaching a great number of readers. This will be your virtual newspaper, where you’ll get access to all news you need. Feedly will fill your feed with reliable information relevant to your interests. You can turn the browsing into your morning routine; the news will inspire you to think, learn, and develop your own content that would be featured on other people’s feeds. Do not neglect the importance of press releases! Sure, they are possibly the most boring type of content to write, but they do reach out to a great audience, and they serve as permanent promoters of your content. All you need to do is write an announcement about your website, blog, or a particular piece of content that deserves great attention. Then, the service will distribute the news to news sites and search engines. This might be the black hole of the Internet, but it’s also a destination where you can find any information you could possibly need. Content writers can easily get inspired by discussions and controversial topics. You can get motivated by a trending topic, so you’ll develop your own posts that would surely attract attention. Be careful not to fall in a trap: Reddit is a great inspiration, but it can also turn into the most numbing distraction that prevents you from writing productively. At this website, you’ll find a great base of articles, images, and videos that will elevate your content development strategy. NewsCred is content marketing software developed with the purpose of helping you share your stories with the world. You’ll get access to licensed content from over 5,000 influential publishes, as well as an ability to publish articles, videos, and images in the online world. This tool enables you to find actionable hashtags that will increase your visibility on social media. You can get information on popular topics in specific regions. As soon as you realize what trend your target audience is occupied with, you’ll be able to reach out to them. The analytics provided by RiteTag are not based on trending; they are developed according to the positive outcomes a certain hashtag leads to. This is an awesome online tool for writers since it enables them to collect their documents, content, tweets, photos, and videos in one place. You can organize different collections and share them with the online community and access your clips and bundles offline; they will be available in your Dropbox. Do you know what can get you motivated to write more content in less time? A to-do list! Wunderlist enables you to set a schedule and organize your work on multiple projects. You can share the lists with collaborators or keep them private. It doesn’t matter whether you’re planning a simple or complex task; Wunderlist is suitable for every challenge you undertake. You discovered an awesome text that inspires you to craft something similar or totally opposite. That motivation will easily evaporate if you don’t keep track of its source. Maybe you encounter a great piece of online content, but you don’t have enough time to go through it. No problem; put everything in your Pocket. This app enables you to save useful online publications and access them at any time. 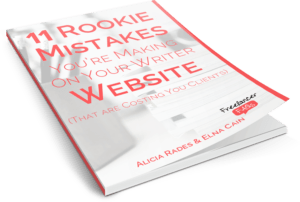 The Right Online Tools Help You Become a Better Writer! Perfect content is not enough for your success as an online writer. You need to get the right ideas and offer posts on topics your audience wants to see. There is a great choice of online tools that can help you develop successful online content and reach out to a greater base of readers. The 13 tools listed above will give you a starting point. Don’t hesitate to experiment with various tools that serve a different purpose. Soon, you’ll have your own kit suitable for your writing and publishing routine. Want to explore more tools? Check out this list of tools you should be using in 2015. Stephanie Norman from Sydney has been a professional writer for 4 years. She writes business, creative, and academic content as a freelancer and with Australian Writings. You can follow her on Facebook and Google+. What a great post of tools! I actually never heard of any of these tool except Feedly! I’ll be sure to bookmark this site and look at these in the future! I hope these tools will help you in your work! Stephanie, thanks for this list! I know of Feedly, Reddit, Wunderlist and Pocket – the rest I haven’t heard of. So I’m also bookmarking this article! Pocket I like – although I tend to save a whole bunch of articles to read later, and then forget to go read them! Another news app I really enjoy is Flipboard which I’ve downloaded onto my phone – convenient and great way to keep up to date with the latest news stories. I hope new tools will be useful for you! very nice article. i never heard some of these tools before. You can also use Grammarly tool used for checking grammar, punctuation, style and many more..